Added on November 17, 2016 by ROSEGALLERY. 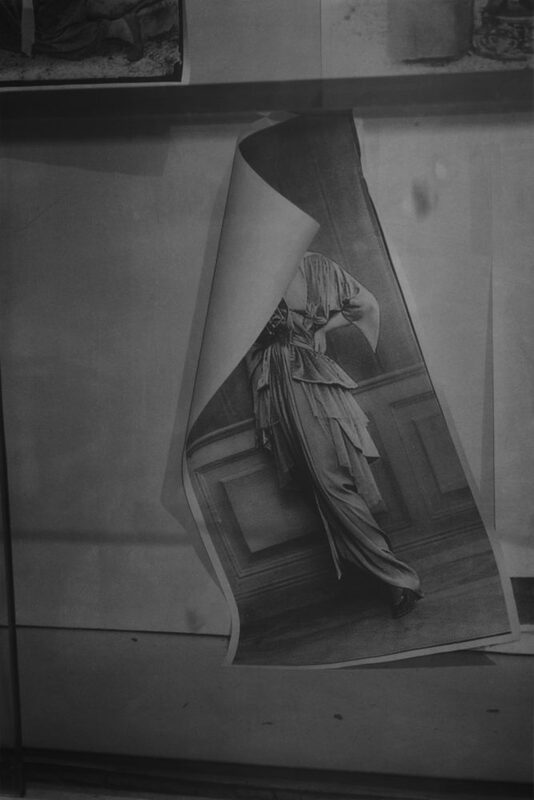 "My photos are like unexploded bombs, charged and full of pent-up energy"
Dirk Braeckman, 27.1 / 21.7 / 045 / 2014, 2014. Courtesy of Zeno X Gallery, Antwerp. 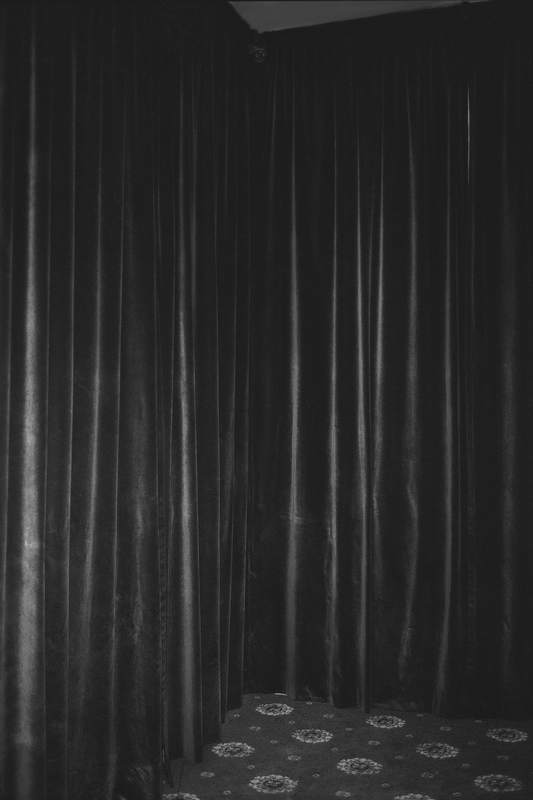 Dirk Braeckman will represent Belgium at the 57th Venice Biennale. His exhibition in the Belgian pavilion at Giardini will be curated by Eva Wittocx, with M - Museum Leuven as the organizing institution. After past editions featuring artists like Vincent Meessen, Berlinde De Bruyckere, Angel Vergara, Jef Geys, Éric Duyckaerts and Honoré d’O, Flemish Minister for Culture Sven Gatz has decided that Dirk Braeckman will now occupy the international stage in Venice. In his enigmatic photographs, Dirk Braeckman creates a closed, isolated world in which tactility and texture, distance and intimacy are combined. His monumental photographs tell us nothing, yet they suggest entire stories. Braeckman reflects on the photographic image and challenges the medium’s illusions. He experiments in his creative process with different textures and materials, and explores effects such as over and under-exposure through a variety of printing techniques. Braeckman’s images transcend the moment of capture and reach beyond their frame. He finds the subjects for his photographic work in his immediate vicinity—often undefined places or spaces, preferably interior views. Dirk Braeckman will create a new set of monumental photographs for the Biennale, tailoring their presentation to the architecture of the Belgian Pavilion. His selection of intriguing pictures will respond to the mass production and consumption of images. Pictures and slogans constantly demand our attention nowadays, whether on television, the internet or in the public space. Dirk Braeckman and curator Eva Wittocx will endeavor to create a sense of tranquillity in the Belgian pavilion, allowing visitors to focus their full attention on the images. The new body of works that Braeckman is making for Venice will be presented in early 2018 at a double show at BOZAR in Brussels and M - Museum in Leuven. Please visit e-flux for complete read. Added on October 6, 2016 by ROSEGALLERY. Through representative examples From Broodthaers to Braeckman-- Photography in the Visual Arts in Belgium shows how the medium of photography entered the field of visual arts in Belgium and how it evolved into an independent artistic medium between 1960 and 1990. "Its location between major artistic centers from London, Amsterdam, Dusseldorf and Paris, and the presence of important visionary collectors and gallery owners, turned Belgium into an important meeting place for the international art world in the 1960s and 1970s. A rising generation of Belgian artists comes into direct contact with international artistic trends like conceptual art, Fluxus and the Situationist International. Local artistic traditions as well influenced their practice. Especially striking is the legacy of the Brussels surrealists, in particular the work of René Magritte and Paul Nougé. Over more, the strong pictorial tradition of the Low Countries, and by extension Europe, turns out to have had a decisive influence on the work of the artists selected for this exhibition, All which is characterized by a constant attention to their surrounding reality." Exhibition will be on view 6 October until 5 February 2017 featuring works by artists Marcel Broodthaers, Jacques Charlier, and Jef Geys, Jacques Lennep, Jacques Louis Nys t, Jacques Lizène, Philippe Van Snick, Danny Matthys, Lili Dujourie, Jan Vercruysse, Ria Pacquée, Liliane Vertessen and Dirk Braeckman. "When we see photographs by the Belgian artist Dirk Braeckman installed in museums, we seem to be looking at photographs that aspire to the condition of painting. They are large — he likes them to be life-size. They are unglazed— he wants no interruption to the eye. They demand as slow an act of looking as any painting. They have the same richness and variety of tones of grey as works by Richter or Celmins. Indeed, Braeckman’s most famous photograph, C.O.-I.S.L.-94, was a photograph of a painting. Before printing he re-cropped it so we see nothing of the frame or surroundings. But this is no normal reproduction of a painting: the light catches the bumpiness of the painting, the lines made by the vertical stretcher bar. Every scratch or nail is as clear as a blemish or mole on a person’s face. A banal painting becomes a beautiful photograph, at once meditative and haunting." Added on July 14, 2016 by ROSEGALLERY. Dirk Braeckman has been selected to represent Belgium for the forthcoming Venice Biennale in 2017. The 57th Venice Biennale of Visual Arts will take place from 13 May until 26 November 2017. Belgium has in the Giardini, the center of the Biennial, a country pavilion that the Flemish Community can fill in a rotation with the French Community. Dirk Braeckman was selected by a jury from a shortlist of five. The jury assessed the five proposals following an oral presentation of the artists and curators. All five proposals made a very strong impression despite they started from a very different artistic point of view. Dirk Braeckman and curator Eva Wittocx convinced the jury with a strong personal story, in which the medium of photography is approached in a unique way. The experiment of Dirk Braeckman the process of photography and the techniques of darkroom give his pictures an exceptional pictorial quality. The work is very authentic and with a high sensuality. The arrangement in the Belgian pavilion, which lends itself perfectly for this strengthens the whole. As a starting point for a series of new works for the exhibition in the Belgian pavilion Dirk Braeckman wants to investigate a number of recent runs. The artist wishes to depart from strong images and tries to provide an answer to the daily mass production and consumption of images. In the public space, on television or on the internet we are showered with slogans and images that compete for our attention. 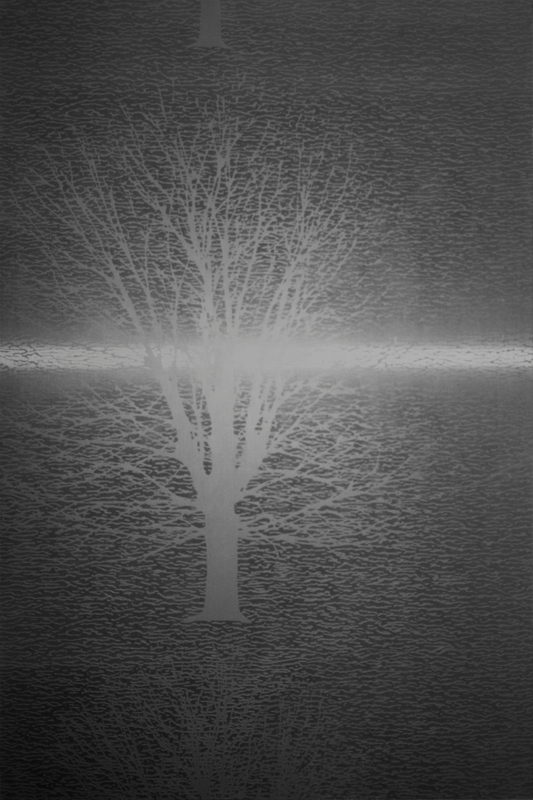 Dirk Braeckman's images serve more as jammers in the regular flow of images. The pavilion of Dirk Braeckman and Eve Wittocx will pursue the opposite: silence and attention, visual experience watching us focus, like moving or shifting the images. Read on about Dirk's representation of Belgium at the Venice Biennale 2017 HERE. Dirk Braeckman's premier west coast exhibition DIRK BRAECKMAN is currently on view until 13 August, 2016. "The exhibition Capital: Debt – Territory – Utopia revolves around Joseph Beuys's pioneering work The Capital Space 1970–1977, made for the Venice Biennale in 1980. This monumental work, here exhibited in Berlin for the first time, is among the most important environments in Beuys's oeuvre. As the symbol of his constant search for liveable alternatives, it sums up his artistic work of the 1970s. During this period, Beuys developed a new definition of capital: released from its relation to money, his new conception put the creative potential of human beings at the centre of economic thought: 'Art = Capital'." See the works by Dirk Braeckman among many other contemporary artists' work at the Hamburger Bahnhof from 2 July until 6 November, 2016. For exhibition details click HERE. Added on June 2, 2016 by ROSEGALLERY. Author Robin de Clercq writes: "Belgium is more than just a country famous for its waffles, chocolate and beer… It’s also the home of quite a few amazing photographers. But when photography enthusiasts can name more Belgian photographers than Magnum Photos‘s very own Carl De Keyzer or near-celebrity Lieve Blancquaert, I am usually already impressed. Coming from Belgium myself, I think the time is right for the world to get to know ten more of Belgium’s finest." "Dirk Braeckman was born in 1958 in Eeklo and currently lives and works in Ghent. He studied at the Royal Academy of Fine Arts between 1977 and 1981, where he met Carl De Keyzer, with whom he founded the XYZ-Gallery. In his work as a documentary photographer, Dirk tries to evade its traditional conventions, while remaining highly autobiographical. Female nudes, curtains, empty corners in rooms, walls, and abandoned hotel rooms are recurring themes, creating intriguing and suggestive images, raising more questions than they answer. The artist avoids images that are over-reasoned and puts freedom and spontaneity first. Dirk has had numerous group exhibitions and several solo shows in Europe, and has received considerable acclaim for his portraits of the Belgian King Albert II and Queen Paola. In addition to his photography, he also creates site specific technical installations for varying art projects." Other Belgian photographers mentioned are: Martine Franck, Harry Gruyaert, Filip Naudts, Nichiel Hendryckx, Stephan Vanfleteren, Bieke Depoorter, Jimmy Kets, Frederik Buyckx, and Marc Legrange. Added on April 20, 2016 by ROSEGALLERY. Braeckman transforms the darkroom into a field of experimentation, working closely with the materiality of the photograph. This intimate relationship with his photographic materials mirrors the intimate perspective when photographing his subjects. By utilizing tonalities of the gray-scale and focusing on acute details, such as the folds of a fabric or the curvature of the female form, Braeckman asks the viewer to engage with simple subjects that are often lost in shades of gray.